With a business officially started, my wallet has been growing with more bank cards. I decided it was time to make an additional wallet for myself that would be large enough to carry my personal cards and business cards while keeping them separated. As my new every day carry item, I set out to design and construct a handmade leather bi-fold wallet and save my minimal card wallet for my personal travels. 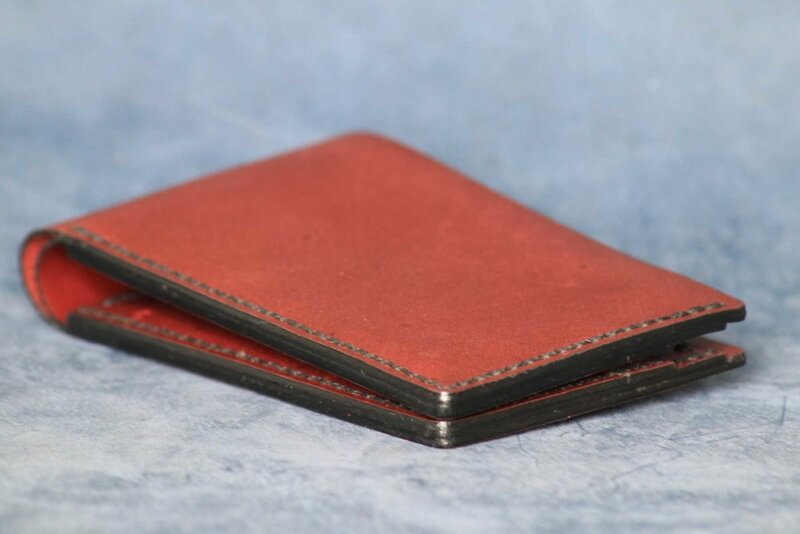 Starting off with the design of the bi-fold wallet, I kept it very simple with four open card slots and two hidden compartments behind the card slots. This is typical for many bi-fold wallets and I like having the option to put important cards in those pockets. Lastly, I still carry some cash on me just in case I go to a store or a street vendor who don’t have the ability to charge credit cards. So the final piece to this bi-fold wallet is the cash slot where full bills can be inserted and folded in half with the wallet. Stitching this bi-fold wallet was an interesting process because it was my first time stitching card slots where the one that’s tucked inside of the outermost slot is cut to tuck into the outer one. 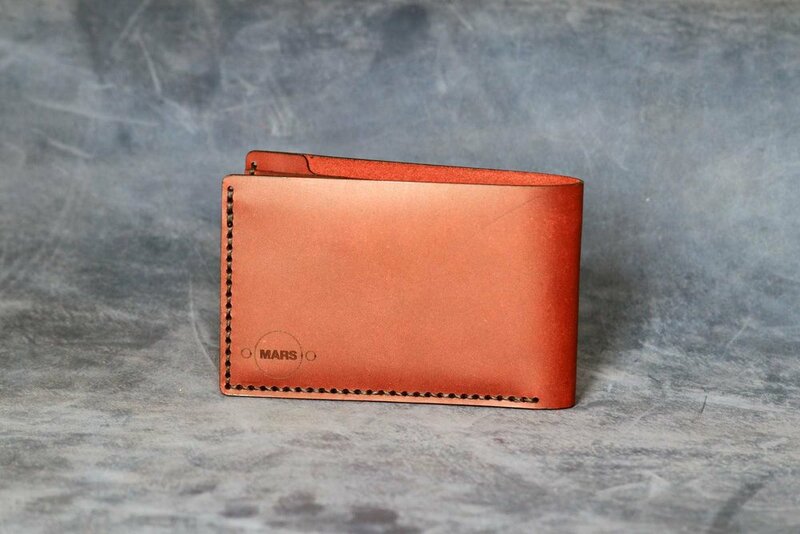 This allows the edge of the wallet to stay thin and uniform. It also adds a few more steps to the stitching process because I had to stitch them in a sequence that would allow the slots to function as they were designed. After making this bi-fold wallet, I was excited to see the final outcome and I’ve been having a great time using it every day. It’s one of the few times where each time I take the product out and hold it in my hands, I take a few seconds to stare and admire its beauty. The smooth red top grain leather combined with the bold black stitching really makes a statement.